You never know what you’ll run across when renovating Asheville’s historic buildings. 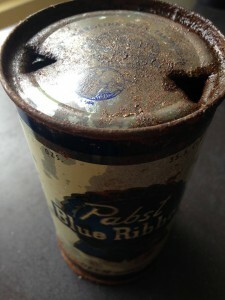 We found this old Pabst Blue Ribbon can inside a wall while working in a 1920s building on Merrimon Avenue in downtown Asheville. 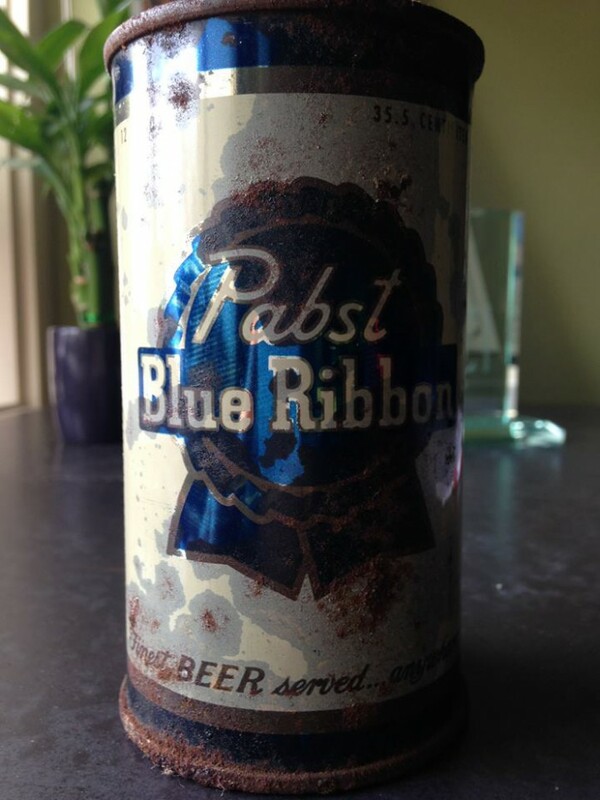 A tax stamp from the state is still visible on the top of the can. The second floor of the building used to be a boarding house decades ago—looks as though one of the tenants wasn’t much for cleaning up.